Finding the right land for sale, rent, or auction has never been easier. LandAlert puts modern technology to work by using text messaging to provide land buyers and tenants instant notification of land for sale, rent, or auction in states and counties of their choosing. This notification via subscription is customizable, absolutely free, and can be cancelled at any time. 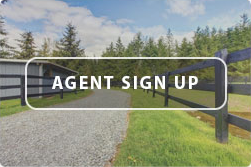 Land buyers can take full advantage of this innovative and simple method of shopping for land for sale, rent, or auction by creating a subscription account using a cell phone number. No more waiting for the newspaper or postman to bring you land listings that may already be old news. And, no more endless searching online through land for sale, rent or auction listings that you are not interested in. Let LandAlert.com do the work for you! Subscribers will receive only the listings that meet their criteria based on location and amount of land for sale, rent, or auction. You will receive text message alerts of land for sale, rent, or auction directly from the listing agents. Each alert will specify if it is land for sale, rent, or auction. The alert will also contain the total number of acres, county, and state in which the land is located. Also included is contact information for the agent or broker with a link to view the listing online. Subscribe for FREE today and find your perfect piece of land for sale, rent, or auction!